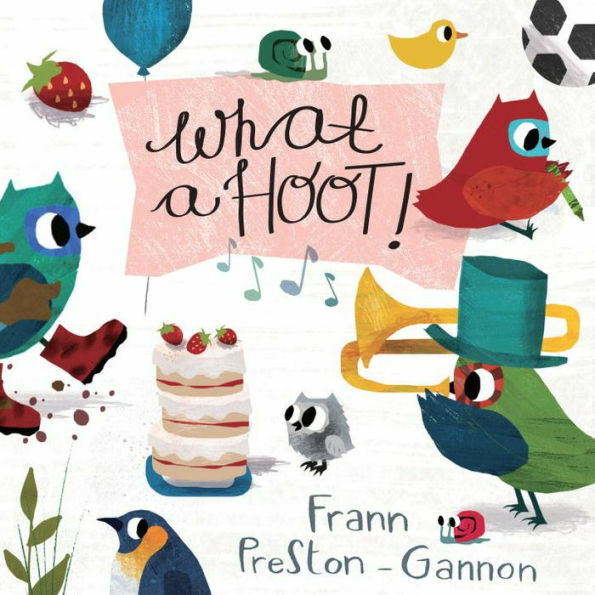 Wide-eyed and plump, Frann's colorful little owls cavort happily through these pages—sloshing through the mud in a pair of rain boots ("This one's dirty") or nose-to-nose with a rubber ducky in a sudsy tub ("That one's clean"), they embody simple opposites that kids will immediately appreciate. A surprise ending adds to the read-aloud fun. Why did we select this book? All the best books have something hidden. First, there are the hidden benefits of reading a rhyming book aloud. Rhyming words sound good together and are memorable. Don’t be surprised if you and your child start to know the next line of the book before you read it. Rhyming books are memorable because rhyme makes strong connections between words. Connections like this get your child ready to read. There are other hidden surprises in this book. Did you see the snail? Play a game with your child to find the snail. The funny little gastropod is on every page! Have your child tell you what the snail is seeing or thinking.